Whether you have symptoms that are associated with the gastrointestinal tract, such as bloating and cramping, or you need gastrointestinal treatment to heal issues like generalized fatigue, the first step is to obtain a thorough evaluation from Dr. Lynne R. Mielke and Sandi Kreizenbeck, DNP, at Optimal Health Spectrums in Pleasanton, California. Gastrointestinal problems can be improved or cured with proper testing and natural treatments tailored to your unique problem. Please don’t wait to get the gastrointestinal treatment you need. Contact the office today to schedule a consultation. What is the gut microbiome? How does the gastrointestinal barrier protect your health? The gastrointestinal (GI) barrier is a layer of tissue that lines your intestines and blocks harmful substances from getting into the bloodstream. While gut bacteria and the immune system do their best to keep the barrier healthy, it can get damaged by toxins, infection, GI diseases, stress, and an imbalance in gut bacteria. When the barrier is damaged, harmful substances get into your body, causing inflammation and illness. How does Candida affect your health? Candida albicans is a yeast that normally lives in the GI tract. When you’re healthy, good gut bacteria and the GI barrier keep Candida under control. But when your gut gets out of balance, Candida grows and spreads throughout your body. What is the connection between the microbiome and the immune system? The complex connections between gut bacteria and the immune system are still being explored, but there’s no doubt about their profound interaction. Bacteria in your gut secrete substances that regulate the immune system and influence your overall health. How can bacteria in your GI tract be treated? The type and amount of bacteria in the GI tract -- both good and bad -- are determined by your diet. This means that the health of your GI tract and immune system can be significantly altered with specific changes in your eating habits. Before any changes are made, it’s important to know the current status of your GI health. That’s where we make a difference. We begin with proper testing to assess your health, then recommend treatment with natural options. 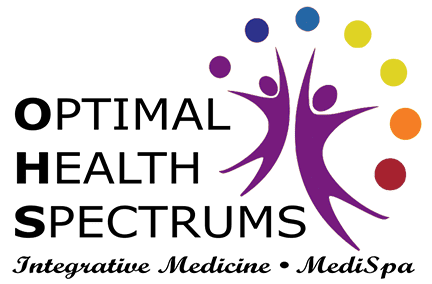 Your individualized treatment plan may include eliminating foods you’re not able to tolerate, adding supplements such as digestive enzymes and probiotics, and learning which foods to include in your diet. 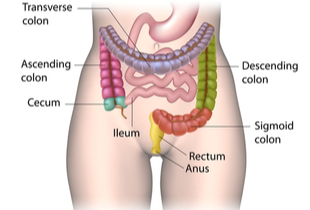 Click here to learn more about the gastrointestinal tract and immune system.